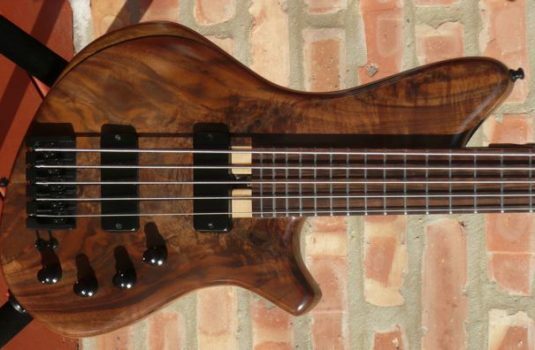 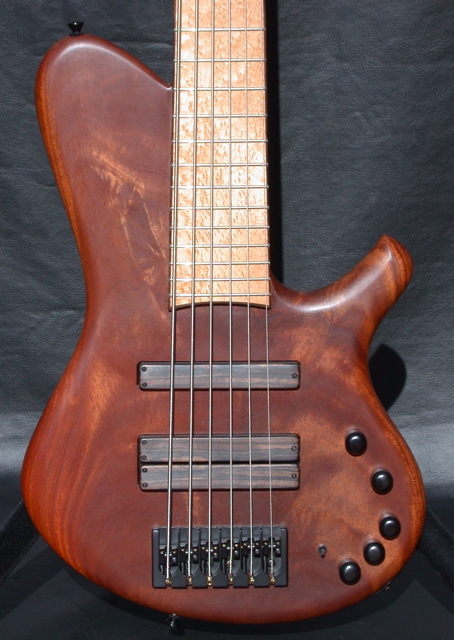 Here is the latest from Chris Stambaugh , an elegant fretted 6. 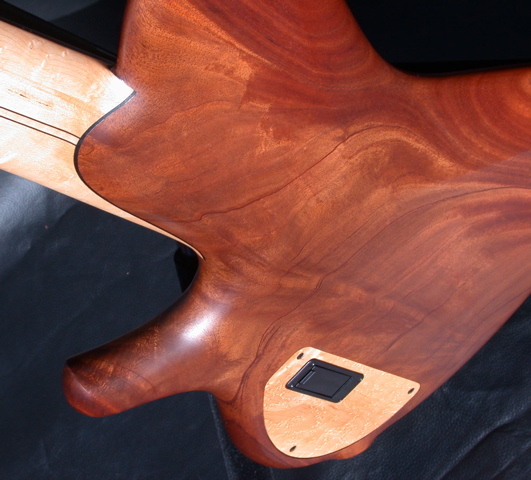 The body is a single piece of Crotch Mahogany, supplied by Larry @ Gallery Hardwoods. 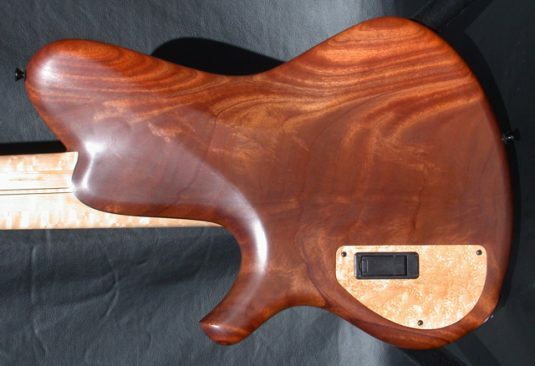 The oil finish really enhances the colors and random swirls in the wood. 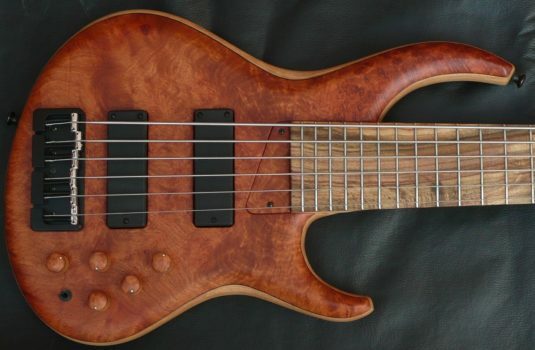 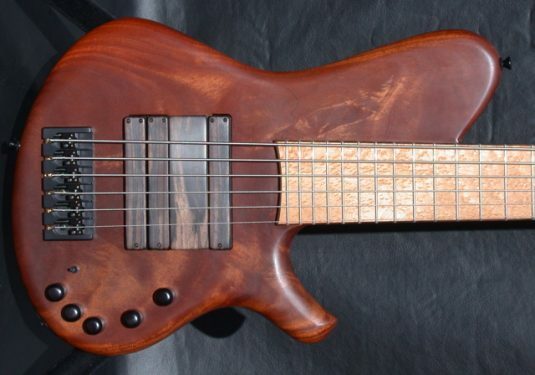 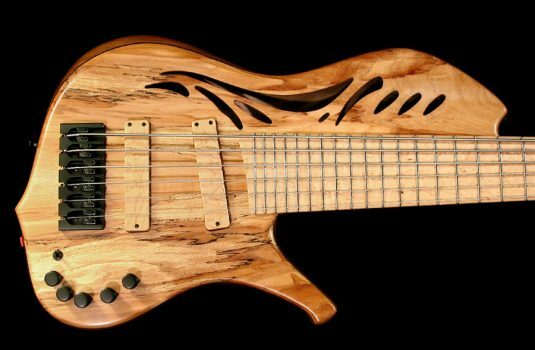 There are three Bartolini pickups on this bass , with a Glockenklang 3 band pre. 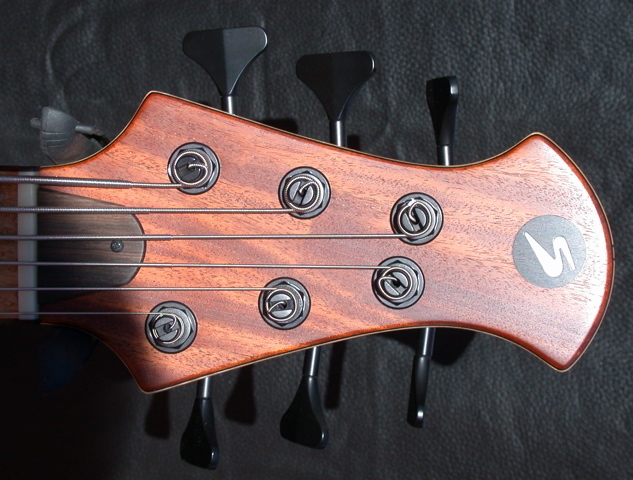 The toggle switch is a pickup selector for the two bridge pickups. The Glock pre is a sweet and hi-def preamp , warm and detailed , like their heads. 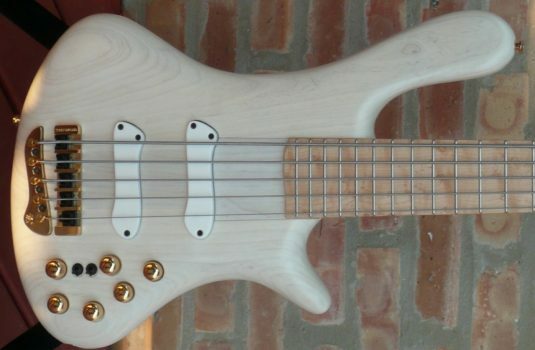 Duhhhhhhh – it is Glockenklang , Danno. This bass is supplied with a removable ramp , of Macassar Ebony, matching the pickup covers.